Fast Money Club – An Old Scam With A New Name? We are all searching for ways to supplement or replace our income. Unfortunately, there are some out there that seek to do the same in what some consider to be in questionable ways. Is Fast Money Club one of those? 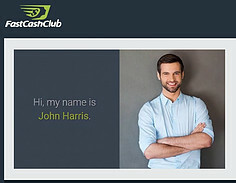 Author JimPosted on November 3, 2018 December 3, 2018 Categories Online Opportunities, Product ReviewsTags business opportunity, Fast Cash Club, John Harris, Make Money OnlineLeave a comment on Fast Money Club – An Old Scam With A New Name?